Impressively, BoardPAC was the only Board meeting governance solution to win six Stevie International Business Award and received these honours at a gala banquet at the InterContinental London Park Lane Hotel in London, England on 20 October 2018. Recognised as ‘the International Stevies’, the IBAs are the world’s premier business awards program. Open to all organisations worldwide; large and small, public and private, for-profit and non-profit, nominations may be submitted by organisations or individuals. The 2018 competition attracted over 3,900 nominations from 74 nations and territories. 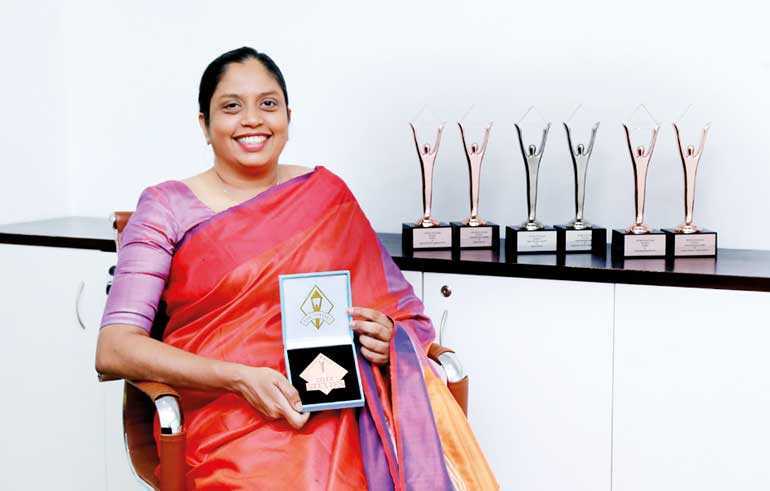 BaordPAC Director and CEO Lakmini Wijesundera earned multiple honours winning two Silver Stevies for Woman of the Year and Entrepreneur of the Year – Computer Software. She was also feted with a Bronze Stevie for Maverick of the Year. The company received accolades as Bronze Stevie Winners for Technical Innovation of the Year – At Organisations and Most Innovative Tech Company of the Year. In addition to these awards, BoardPAC also recently received Gold for ‘Innovation in Technology Development’ at the Asia-Pacific Stevie Awards. This accolade was in recognition of its award-winning iPad-enabled paperless board communication and meetings solution, highlighting the country’s capabilities in this sphere. BoardPAC is a globally commended multinational having garnered worldwide popularity as a brand that provides board meeting automation solutions to over 50,000 users across the international sphere. BoardPAC has also earned the mantle of #1 in Asia based on market share. With a presence in over 20 nations including United States, Australia, Singapore, Malaysia, Hong Kong, Indonesia, South Africa, India, Sri Lanka and many others, BoardPAC also serves a host of fortune 500 companies worldwide and is accepted as the preferred choice for Board meeting automation. To date, BoardPAC has the largest market share for board meeting automation in the Asia Pacific region, and is emerging as a leader across the globe. Leading corporates such as Maxis, Deloitte, XL Axiata, Prudential, Bumi Armada, RHB Banking Group, Hong Leong Banking Group, Bursa Malaysia (Stock Exchange of Malaysia), Affin Bank, Astro, Bombay Stock Exchange, Power Grid Corporation of India, IDBI Bank, Container Corporation of India, LIC Housing Finance Ltd., Bank of Ceylon, Colombo Stock Exchange, Carson Cumberbatch PLC, John Keells Holdings, Sri Lanka Telecom, Hemas and MAS Holdings as well as the Colombo Stock Exchange (CSE), are just few of the BoardPAC’s success stories across the globe.